This past weekend Respawn had the first of two multiplayer Tech Demo tests for October’s Titanfall 2. I was and still am a huge fan of the first game – it was the first game on the current-gen consoles that actually felt “next-gen” to me. It also managed to beat the other FPS games to the punch with regards to the focus on increased mobility, which we’ve since seen in heavy hitters like Destiny, Call of Duty and even in Halo. So I went in to this weekend pretty excited to see what Respawn has been up to with the sequel – I thought the E3 footage was definitely exciting after all. Unfortunately, I came out of the first weekend with a lot more unsure about the direction the game is headed.Yes, I know it was a build from June, but that doesn’t excuse some of the issues I have with it. Let’s talk through this little mess. We have to start with my biggest complaint, by a pretty large margin, which is the UI. The first game didn’t have a particularly easy UI to use to begin with, but this time around it’s even worse. The multiplayer lobby is cluttered, thanks to the new Network system taking up the lower third of the screen. Your whole screen feels like it’s being used and it’s hard to tell what’s important – you’ll be bombarded with Network invites dead center in the screen, but if you’re just trying to play a game or two, that’s not at all important. I also had a hell of a time trying to get my friend into my party/lobby to play with. We played one game of Bounty Hunt last night – then after the game finished, it put us into different lobbies and we couldn’t get back together. After about 15 minutes or so, we just called it quits because it’s just wasn’t worth the frustration. Some of the menus are fine – the game selection is nice and clear, explaining the objective, whether or not it has Titans or AI involved and player count. Others are a little clunky – I wasn’t a huge fan of the loadout customization system, not necessarily because it was bad, but I think it was better in the first game. Once you get past all the UI clunkiness and into an actual game, that’s where I think your opinion of the game really is dependent on what you’re expecting. Coming in as a big fan of the first game, I had some expectations – AI combatants on big maps, Pilots zipping all around and Titans being called down and becoming pretty important targets. And to be fair, those elements are there – sort of. AI only is present in Bounty Hunt, at least for now; and it’s in a much more limited role than it used to be. Pilots still have a great degree of mobility – in fact I think that may be the best improvement from the first game to this one; your movements have more weight to them, they feel like you actually have momentum and mass. The new grappling hook Pilot ability really helps with that feeling, as well as being a really fun way to move around the maps. Titans still play a pretty big role in the game too, but it’s a very different feeling, this time in a way that I think takes a lot more getting used to. Depending on the game mode, you can get a Titan pretty quickly, or at least until they hot fixed it, maybe only once in a Hardpoint game. The biggest change to the Titans though is that they’ve decided to make them all individual classes. Gone are the old chassis that you could customize however you want – take a heavy Ogre chassis and give it the heavy weapon, or give the heavy hitter to the light chassis. Now you have different profiles for the Titan – Ion or Scorch in the tech demo – and they have a couple options to mess with, but their weapons or abilities aren’t those options. Each frame has its own weapon and abilities, and you have to learn how they work. The Titans do feel a little less powerful overall, but that might just be because the maps both felt a little small. One of the real strengths of the first game was that the maps actually felt like big battlefields. Whether you were a Pilot or a Titan, you never felt out of place – the scale worked both ways. This weekend’s maps felt a lot more built around the Pilot to me – playing as a Titan, even on Homestead, felt a little cramped. All of that may sound like I really disliked my time playing, there’s a lot of nitpicking and criticism in there for sure. But that’s only because I really loved the first game and I really do think that this can become a franchise along the lines of Call of Duty/Battlefield/Halo. What worries me is that it feels like Titanfall has lost its identity a little bit. When I play it, I can’t help but feel the echoes of Call of Duty becoming louder – I don’t get that with Destiny and its lineage with Halo as Destiny has evolved. I worry that the pressure to deliver on this sequel is maybe a little overwhelming – there’s a lot different this time around, especially on the single-player front. I’m not quite as down on it as some of the posts I saw on the Titanfall subreddit were – nor am I as naive as to think that a six month delay would be enough time to completely retool the multiplayer, which was an actual post I saw. I actually had a good number of moments while playing that put me right back in that Titanfall frame of mind – goosing ejecting Pilots, Titan punching Pilots trying to rodeo me, parkouring all over a map without touching the ground, all while fighting the whole time. There’s still enough character in there where when it works, there’s nothing like it right now; even at its fastest, Black Ops III doesn’t quite do parkour as well. What I would love to see is Respawn take these two weekends feedback seriously, and make this game as good as it can be. I don’t think it needs a big delay, but I do think that pushing it back to Christmas would be a huge help. Two months to use that feedback, polish up the UI and networking; and maybe most importantly, get it out of the crowded launch season – especially with FPS games. The first game didn’t really have a lot of competition to worry about – Call of Duty: Ghosts and Battlefield 4 were really it, and both had been out for months by then. Titanfall 2 doesn’t have that luxury – Destiny: Rise of Iron, Battlefield 1, Call of Duty: Infinite Warfare and Modern Warfare Remastered all hit within a month either way of TF2‘s launch. Add in some other heavy hitters and I don’t think it’s too tough to see how a short delay might really help. Maybe after this second weekend coming up we’ll have a better idea of what’s happening moving forward. I’ve been a big Call of Duty fan for a long time – going back to the Classic games on the PC. Now that I’ve been playing a good chunk of Black Ops III multiplayer I think that Treyarch has pretty much completely changed the formula for their games. The biggest change to me that we’ve seen in the overall franchise over the last three games has been increasing the mobility. Ghosts added in sliding, Advanced Warfare added in boost jumps and dodging, as well as sliding, and now we’re at Black Ops III with wall running, thruster jumps and sliding. So with that in mind, I thought I’d talk a little about those new mobility options in Black Ops III. It’s hard to look at wallrunning in an FPS these days without comparing it to Titanfall. Titanfall had such a seamless integration with the wallrunning and clamber mechanics that it has kinda set the standard in the modern set of FPS games. So going in to Black Ops III I was curious to see how Treyarch would approach it. I can definitely see some influence in how easy it is to transition into a wall run or clamber. Shooters are definitely moving to a more mobile mind-set. Cover use will always be an important part of any FPS game, but mobility is really starting to be a huge part of how encounters are playing out. What I think Black Ops III does well with the wall running is that you can still aim-down-sights while running. In Titanfall, if you aim, you stick to the wall, killing your momentum and making you an easy target. With being able to aim and move on the walls, it opens up a whole bunch of different options to get into firefights and engage the enemy from a whole bunch of different angles. Since Treyarch has a bunch of challenges that are based around wallrunning, and the maps are set-up for it as well, you’re bound to see lots of people running all over the place. Rounding out my coverage of the launch period for Battlefield: Hardline, today I’ll look at the multiplayer side of things on a whole. Yesterday I offered up my thoughts on the campaign, last week I went over each of the four playable classes, and before that we talked about Heist, Hotwire and Blood Money. Today I’m taking a bit more holistic look at that side of things. 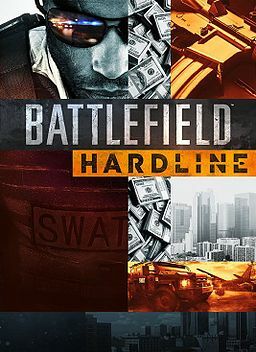 The biggest question to me going in was just how much Hardline could differentiate itself from the previous games in the series with the setting change. There was absolutely the possibility that it would still feel like we were in the military, just in smaller cityscapes. In the end, I think DICE and Visceral did a pretty good job of getting the setting straight. There’s still a bit of that vibe in there, but reinforcing the cops and crooks at every chance helps fight it. That extends to the vehicles choices – cop cars with blaring sirens, or appropriated cars for the crooks; some of the weapons come straight out of pop culture for this kind of world – the Menz in the Hood achievement really sells that; but the best is through the player dialogue – every tag comes with some kind of comment, each side has comments that fit with their role. I went over three of the new gamemodes – Heist, Hotwire, and Blood Money – the three modes that I’ve been playing pretty exclusively. Each offer up just enough of a twist on the Battlefield formula to make it feel fresh, and each mode comes with a different set of ways to play within a team. Hotwire is a great way to get a high score, Blood Money and Heist both are good for frantic action. The four classes all feel distinct enough to make it easy to fill a role, and are all useful in just about any game mode. There really isn’t one weapon that feels truly overpowered – each class has plenty of options that all work. It’s not a perfect game, but that’s because no such thing exists. It’s really a super fun game to play – the campaign is alright enough, but the meat of the game is the multiplayer, which is pretty deep. The progression keeps you invested thanks to the money mechanic. The Premium subscription is a little expensive, but if it’s on the same level as Battlefield 4‘s it will be worth it in the long run. Special events, Gold Battlepacks, and early access to the DLC is always a nice thing. 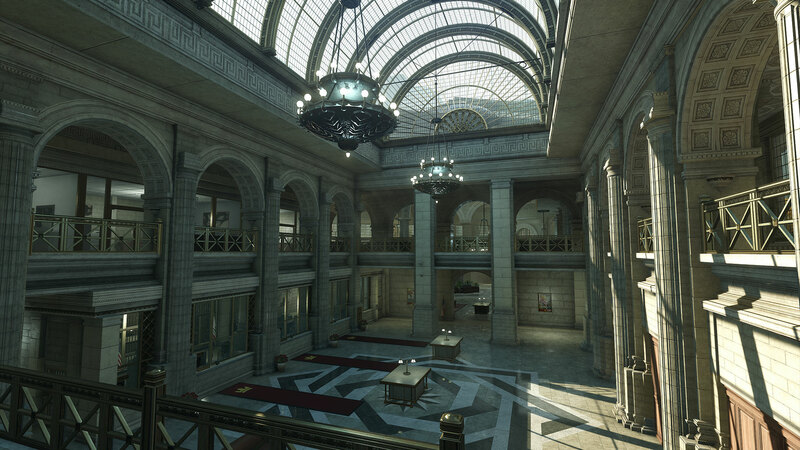 All things considered, Battlefield: Hardline is a fantastic entry into the series. It’s got a surprisingly engaging campaign, really deep multiplayer and a pretty solid looking future. It’s definitely worth looking into – I fully recommend it.